If one of your resolutions is to eat healthier and spend more quality time with friends and family here are some of our favorite places to dine around the city. 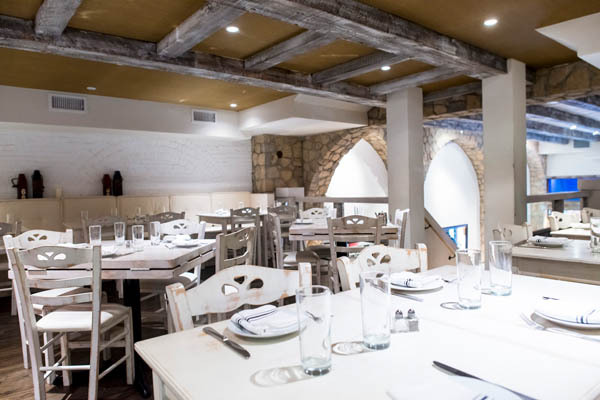 Whether it’s operatic classic French, authentic Greek fare, multi cultural Italian, or elevated comfort fare there are plenty of options to keep you cozy throughout the Polar Vortex. 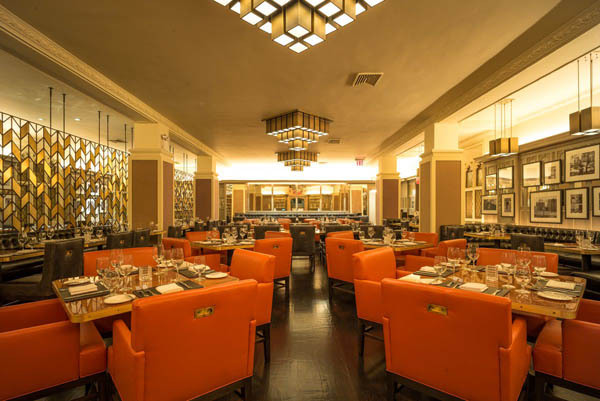 Located in the heart of Midtown Manhattan on 54th Street is the sprawling 11,000-square-foot two-story rustic and elegant French restaurant Papillon Bistro & Bar. Dating back to the turn of the century, this historic townhouse features a vintage Belle Epoque décor replete with a 70-foot-long, wood-paneled bar on the ground floor and an elegant upstairs dining area filled with eclectic antiquities and furniture and photos and relics from its past lives and reincarnations. 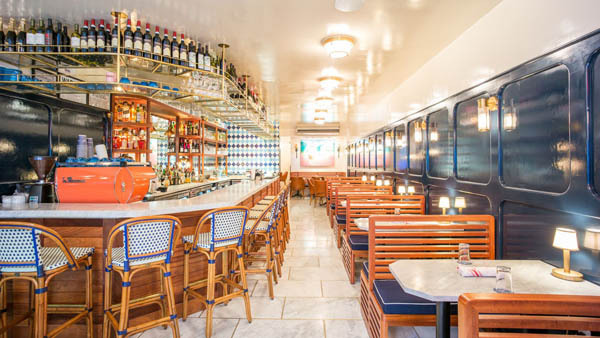 The Provencal-inspired eatery serving French bistro classics such as moules marniere or seared scallops, is just steps from Central Park, the Museum of Modern Art and the famous 5th Avenue shops which is a perfect located for those enjoying midtown’s many attractions. 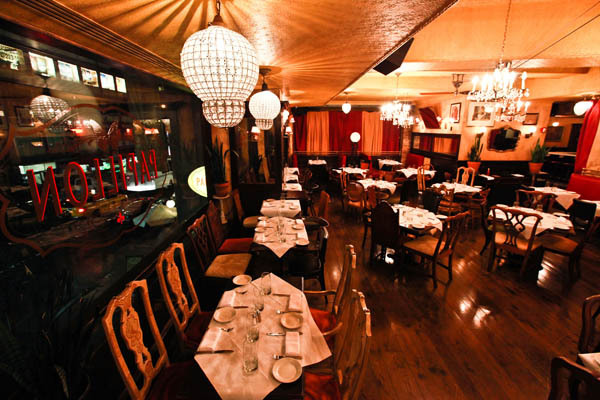 Stop by on Saturday evening for Leopoldo Mucci’s famous Caffe Taci held upstairs for a lively evening that extends into the wee hours. Tenors, sopranos and baritones from the Metropolitan Opera House and other Broadway actors stop by to perform their perfected arias from some of the most famous operas in the world for an unforgettable night out. A local favorite on the Upper East Side is Café Americano that serves delicious elevated seasonal American fare with healthy locally sourced ingredients. Some of the favorites on the menu include the grass fed cheeseburger with crispy shallots and onion jam, burrata with figs and almond, scallop carpaccio, lobster rolls, grilled lamb chops with sautéed onion and wilted kale, and a superfood macro bowl with quinoa, kale, avocado, sweet potatoes, and chickpeas. The charming atmosphere evokes the quaint European feel of a bistro in the West Village that transforms itself from a daytime café to a cocktail lounge at night created by warm ambient lighting, lacquered navy walls, cozy banquettes and a long convivial bar. 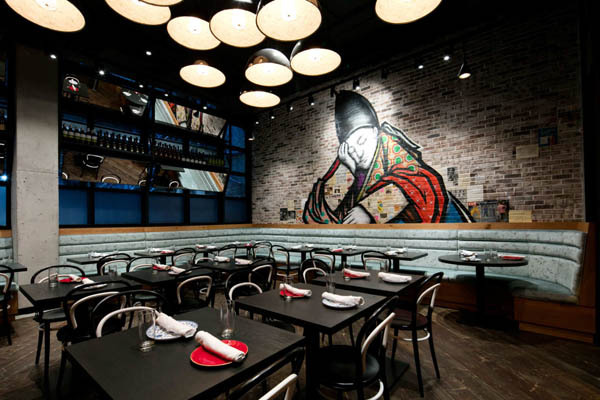 Owned by restaurateur siblings Tom & Anthony Martignetti from Brinkley’s Broome Street, the East Pole, Eastfield’s and Pizza Beach, they bring their signature touch of combining an inviting environment with delicious fare that have earned them their loyal following. Even when he’s not competing on Top Chef, Dale Talde shows his talent for improvisation in the kitchen when left to his own devices with random ingredients. For example, Massoni just opened at the Arlo Hotel this past November armed with a plethora of Halloween candy left over he came up with Snickers Cannolis which has become a go to staple on his menu. Massoni is the latest project in Manhattan between hit makers- Dale Talde, David Massoni & John Bush who have created comfort “In-authentic Italian” fare which features classic Italian dishes with multi cultural flavors and ingredients- reflecting the irreverent personalities of the three owners. As they let their pizza dough rise for 48 hours, the light and crispy pan pizzas are amongst the best in NYC. Topped with ingredients such as pepperoni, pickled peppers and honey, or mushroom, mascarpone and smoked mozzarella, there has never been pizza so craveworthy. Other highlights from the menu are the delicious pastas such as squid ink papardelle with crab vodka sauce, an octopus puttanesca sauce and malfadi with uni, serrano and smoked onion dashi. For mains- the Orata has an Asian flair and is perfectly tender and flaky and drizzled with a hot olive oil soy with capers and ginger. Of course, save room for the decadent desserts. 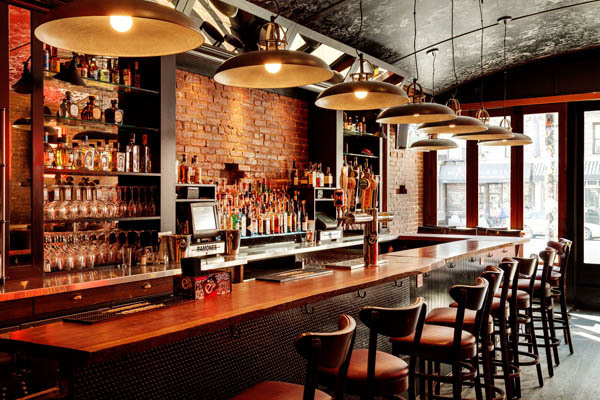 While there is no shortage of dive bars on the Upper West Side, e’s Bar stands out from the rest. While it’s reminiscent of your favorite brick walled college bar it’s filled with grown ups and decadently delicious food. There are plenty of board and fun games that encourage lively banter amongst its loyal following of patrons that pack this friendly joint from after work through the weekends. Test your trivia skills every Tuesday night from 7-10 pm or work off a hangover during their Sunday Jam featuring a live DJ playing rock and roll from 1-7 pm every first Sunday of the month. Their elevated bar bites and comfort food satiate those decadent cravings on cold winter nights. Customer favorites include chips and freshly made guacamole, fish tacos, buffalo chicken bites, e’s burger with cheese and special sauce, creamy mac & cheese, maple drizzled Brussels sprout with bacon, and crispy sharp NY cheddar balls. Whether choosing from their extensive selection of IPAs or cocktailing on specialty drinks like the Peach Mule, Strawberry Bourbon Sour, e’s margarita, Violet Collins or sipping on their hot mulled red wine- there are plenty of options to keep you warm during a polar vortex.